Life Sized 3D Holographic Tiger appears on stage. 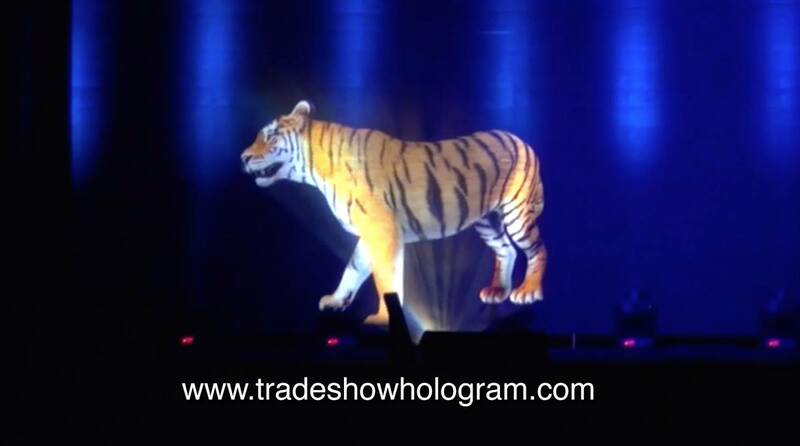 A large scale 3D holographic tiger appeared on stage as part of an opening conference in Santa Clara, California. The special 3D effect was created using a holographic projection system which makes an object appear both in 3D and floating in mid air. “The tiger was a huge hit.” says Timothy Drake of Trade Show Holograms. ” Most people have never seen this effect in person as its usually only seen in hollywood movies, so it really surprises them to see it live in front of their own eyes.” Drakes company creates variations of the 3D hologram projectors for both large scale projects like this and also trade shows across North America.